This delightful “St. Helena Shakes” reading group at St. Helena’s Vineyard Valley embodies everything NapaShakes holds dear. 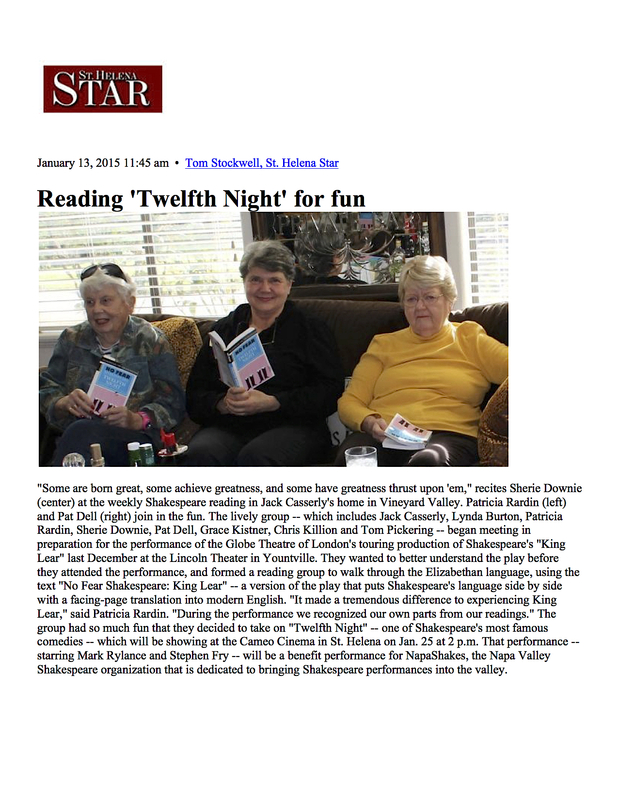 These intelligent, energetic neighbors come together to read and understand Shakespeare, and then attend the performances as a group to share the experience. Find them inspiring? Let us know and we’ll connect you so that you might join with them, or start a group of your own!